Superb craftsmanship and magnificent natural sunlight inside this gorgeous Pre-War Classic Six luxury home. 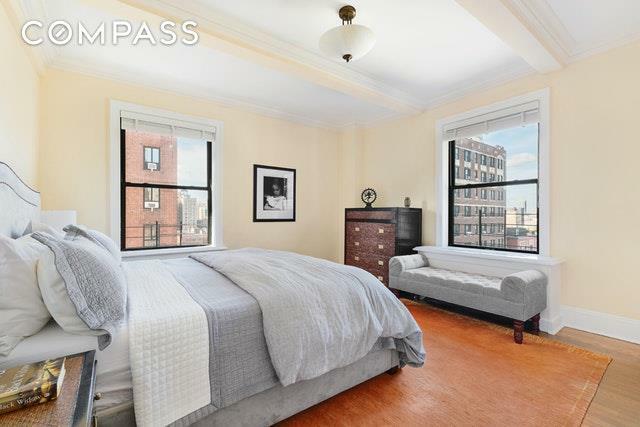 A meticulously renovated corner unit, #11E at 760 West End Avenue features 12 large dual-pane windows facing South and West, capturing a handsome slice of the Upper West and Hudson River views. Upon entry, youre greeted by a welcoming entry foyer, and well proportioned 22 living room. 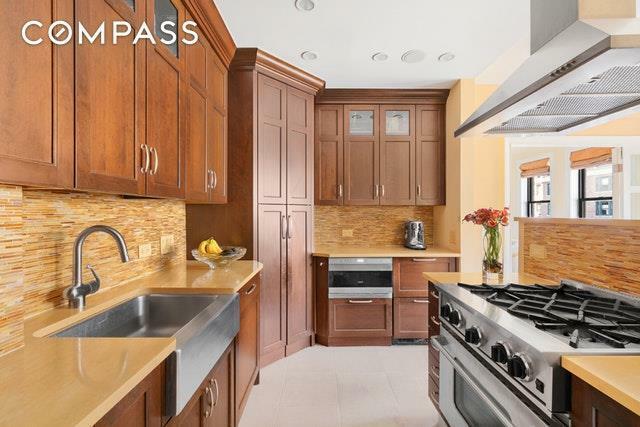 The centerpiece of the home, an elegant chefs kitchen features Corian countertops, custom walnut cabinetry, glass mosaic backsplash, Wolf & Sub-Zero appliances, and generous butlers pantry, where a Washer/Dryer can be added if need be. The King-Size Master bedroom is sunny and spacious with built-in desk and His & Hers closets. Extra large 2nd bedroom features a massive walk-in closet and space for large furnishings, plus 3rd bedroom with en suite bath. Thoughtfully completed with beamed ceilings, bespoke lighting & surround sound, tasteful window treatments in each room, gorgeous original herringbone hardwood floors, with ample closet space and built-ins for additional storage. Offered in AAA Mint Condition. 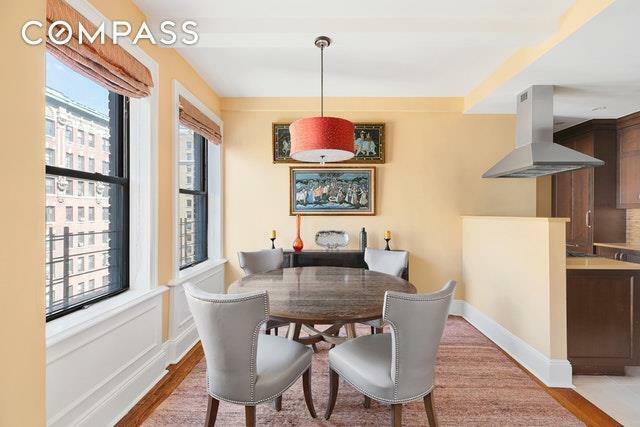 760 West End Avenue is a prestigious, full service co-op on a lovely corner of the Upper West. Outside your front door, Riverside Park, Hudson River Greenway, the 96th Street Express Subway, Whole Foods, and superb dining and entertainment choices that make the quality of life here so enjoyable. Well managed with robust financials and low monthly maintenance, the building features an attentive 24 hour staff, live-in Superintendent, proper laundry room, with bike storage and additional storage available. 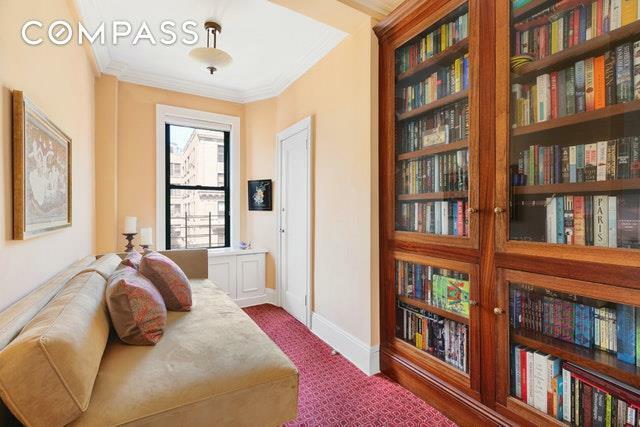 For the savvy UWS buyer, a wonderful place to call home and not to be missed. Listing courtesy of Eric Fleming of Compass.